I met up with the Fulginitis one Sunday morning to sip coffee and make waffles together. My favorite sessions are the ones where a couple invites me into their routine- the normal events and activities that add up to tell a really cool story about their life together. 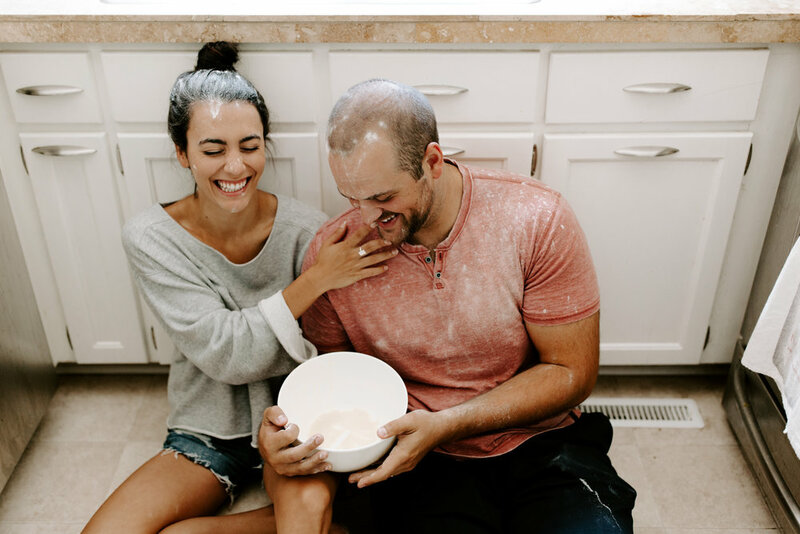 I hope this session encourages you to step out of the box and figure out what's going to be authentic to your couple, even if that means throwing waffle batter around the kitchen until you're crying from laughing so much.